Engage with local customers. Wherever they are talking. Ready-to-buy consumers research online for nearby stores, go in-store to buy, and often leave a review about their experience. In turn, those reviews influence the purchasing decisions of future customers. This makes it crucial for businesses to have a voice in those conversations, monitoring and responding to reviews and comments. Uberall Engage increases in-store sales by empowering you to manage your online reputation across all of your locations. Respond to customers across multiple platforms - all from one inbox - or post social content to specific locations and platforms. This is an online reputation management software that works for your clients or businesses. The Internet is where many potential customers form an opinion about your business without ever walking through the door. Online reviews can make or break a burgeoning establishment, which makes managing your online reputation a critical part of a successful enterprise. The art of business reputation management involves interacting with customers in their home turf, handling the occasional mixed or negative review while engaging with the public in a personable way. Potential customers and clients love to see businesses engage with the public and are easy to get in touch with. 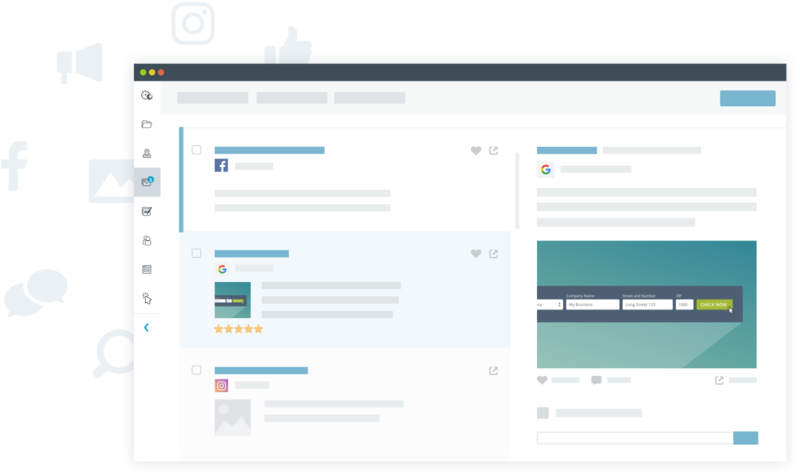 Uberall’s reputation management software makes it easy for brand to engage and respond in the social media world, as well as across various review sites. By having relevant, up-to-date business listings across over 50 apps and services, businesses can reach their full potential with the convenience and efficiency of a centralized management platform. When a consumer leaves a “like” or a comment, are you taking advantage of this chance for increased brand engagement? Responding to reviews—negative and positive—is a great way to show your prospects that you are personable and care about quality. Taking the time to respond to customer feedback displays that your brands care about their business. This is more likely to keep them coming back. It’s important to pick the right platform for monitoring and managing your online reputation. When a business needs to engage with local customer feedback with a unified voice from location to location, Uberall provides the tools to connect the dots between online visibility and offline sales. Reach local customers directly with relevant news and offers across platforms, just at the right moment. Create personalized content for all or individual locations, allowing tailored brand communication at a local level. Publish location-specific photos, videos and links in real-time, then analyze customer engagement through views, clicks and comments. Uberall’s API integration with all partner platforms, including Google, Facebook and many other directories, maps and navigation systems, puts you in the driver’s seat when it comes to shaping and managing your company’s online reputation and customer engagement. Give different teams and employees exclusive access to individual features. Depending on their responsibilities, you can assign relevant user access control within the platform, from reviewing to posting. 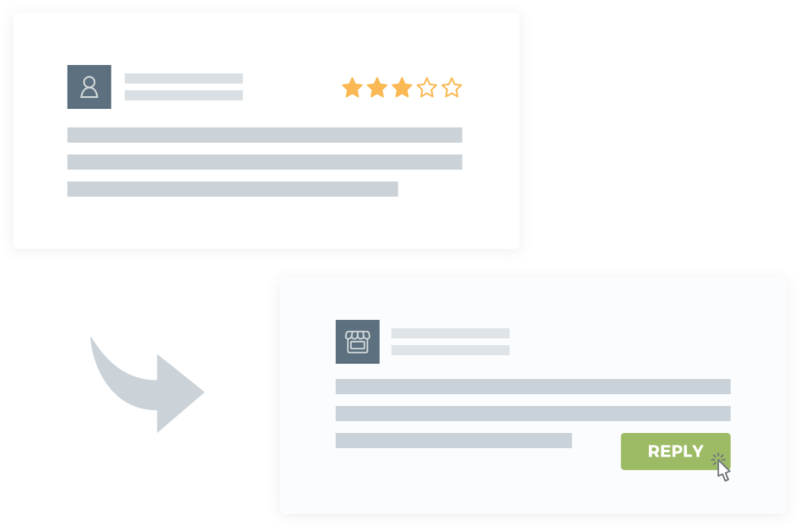 You can even set approval workflows to enable admin users to edit, approve or decline individual replies to customer reviews. Never miss another customer review. Everytime a customer rates or reviews one of your business locations online, you will receive a notification via email. Alternatively, just set the notifications to alert you when you receive a one or two star rating. Schedule posts for future publication to experience easier, more effective social media campaign management. 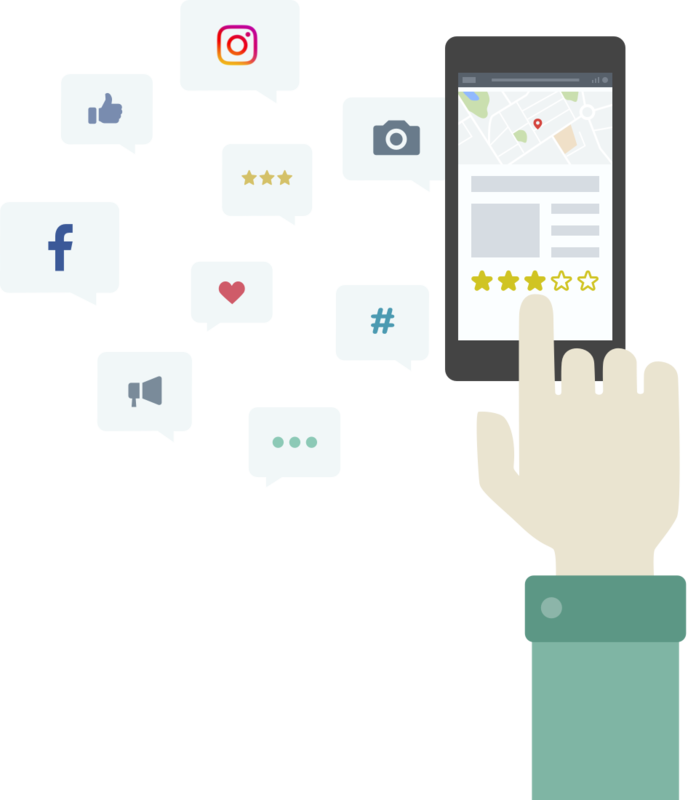 Analyze customer feedback and other user-generated content by location, time, platform, geography or type. Engage gives you an in-depth look at the online performance of an individual business location, any group of locations, or all your locations. 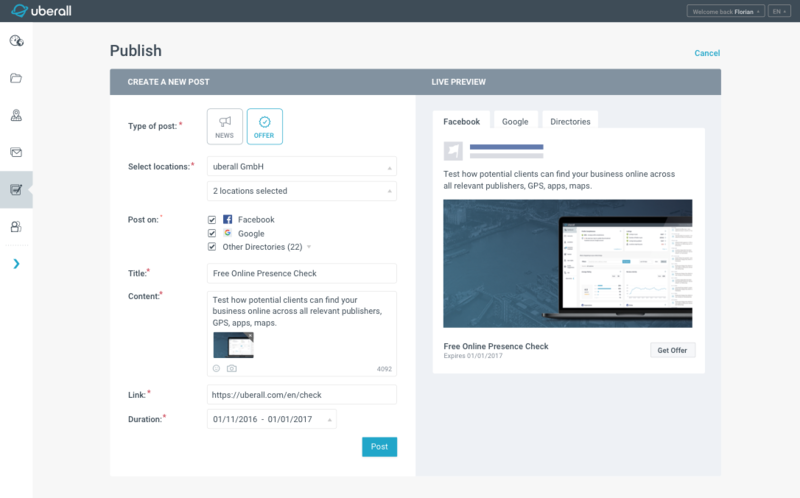 In a few simple steps, you can create individual customer feedback overviews across platforms. Plus, quickly generate comprehensive Excel reports, suitable for internal reporting or archiving.